Imagine edging in for a heelside wake jump. You reach the peak of a jump hopefully while grabbing your board, extend your legs and prepare for landing impact. What should you be thinking about? Keeping your handle in near your core or waistline, with your chest up, and legs and feet active and ready absorb the impact from the landing. As you land, you’ll want to focus on the same sequence of motion you focused on in your air squat exercises. You push your hips back and use your glutes to absorb the impact while bending your knees outward tracking over your feet. When we dissect the ideal body position for a landing it looks really similar to squat exercises in the gym. There’s dozens of squat exercise variances but we’ll use the basic air squat for wakeboarding purposes. During a squat, your feet are shoulder width apart or slightly wider. Your toes can be slightly angled outward. As you bend your knees and lower down into a squat position, the chest remains upright and tall so the spine remains neutral while the hips move backward. As you do this, your knees and shins should track inline above your ankle. The weight of your body should be even in the heels of your feet. It’s really important to keep your chest upright during squats. Having your chest fall forward as you squat takes your entire body out of alignment, makes you unbalanced, and puts you in an awkward position that elevates your risk of injury in the gym and on a wakeboard. This chain reaction will easily put strain in the lumbar spine leading to potential disc injury, muscle spasms, compression fractures, and laundry list of other injuries. The second most common mistake people make is not being active and strong in the legs and feet during a landing. Sounds so simple right? Remember, there’s a lot going on with your upper body with the momentum of the pull so most people neglect lower body coordination during a landing. If you aren’t active in your legs and feet your knees can buckle. This leads to tears of the meniscus, cruciate ligaments, or bone bruises. By focusing on an strong and flexible lower body, you can drastically reduce the impact in your lower back and improve your wakeboard style with your landings. With your feet in particular, think about putting pressure on the outside of your foot. This is the strongest part of your foot and will also help keep your glutes activated. Another critical component that will help you get softer landings is your wakeboard. I can’t stress enough how important it is that you ride the correct size wakeboard for your height and weight. 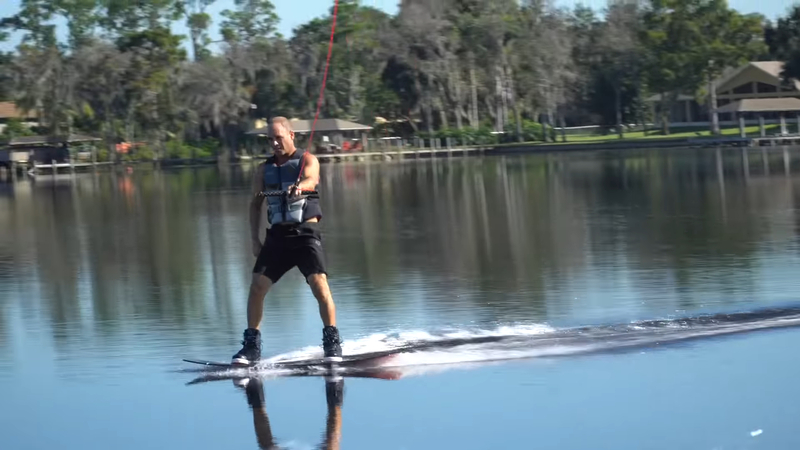 Most people ride too short of a wakeboard to start. 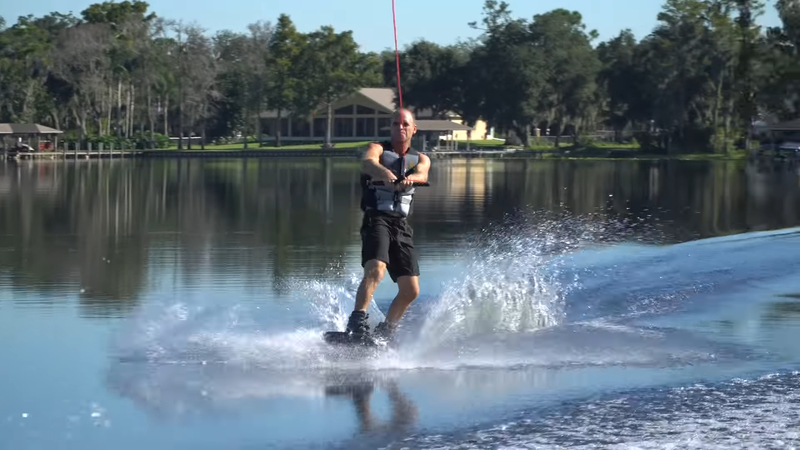 A bigger wakeboard displaces more water for softer landings. If you’re riding a board that’s too small, landings will feel abrupt and rough due to the board losing speed and sinking quicker in the water. A smaller board can’t displace enough water to support your height and weight and tend to feel sluggish. A larger board will carry more speed through landings, displaces more water and results less abrasive landings. It’s better to go bigger! It may take some time but your landings will feel smooth and your riding will look more stylish. I do love wakeboard but after 1 st time behind the boat i crushed my head hardly. Check out my instructionals, which can hopefully help you take less falls and have more low impact fun! A true ambassador from the sport I love most in the world! Showing everyone that its not ALL about how big you can go…but sometimes you should just enjoy the ride…Peace!!! You gettin’ too jacked Shaun, stop the heavy lifting workouts. That made me smile, thanks for posting this! Haha, that was awesome! And love the music!!! You don’t have to take your, fins off…to have a good time, no no! Is that color life vest available yet? Watching this again right before my first session next season. Glaaaaassssss! How many days a year is your lake like that?? Really lovin’ the fun surface moves and stuff but if I can’t get no “air”, I will find it very difficult to breath ;0p EatSleepWakeboard… Peace&Love brothers and sisters. Really cool! Riding like that is fun…and safer for an old dude like me! Thanks Shaun. That was awesome! You should do a little video of riding other Hyperlite riders models like Rusty’s and having fun. Everything looked so much fun! Fun times! Thanks for sharing Shaun! Reminds me of those amazing zucky videos.